Landscaping – Turf and Landscape Inc. Enhance your property with exceptional landscaping. 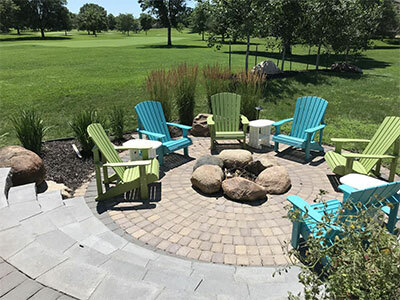 Our team of professional designers and installers can create a simple place for planting or a complete outdoor living space. 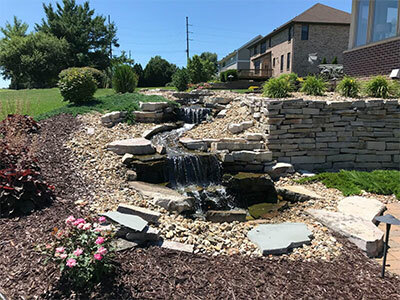 From the first concept to the final touches, our full-service landscaping service will bring out your property’s fullest potential. Our projects are tailored to fit your aesthetic preferences and property, including providing a combination of plants to complement your home. Perennials, grasses, shrubs, and trees are handpicked so your new landscaping is truly unique. Our overall goal is to develop a one-of-a-kind visual design that meets your needs and budget. We consult with you, develop the design concept, and discuss alterations to ensure your vision is brought to life. Once approved, we implement the design with precision and professionalism for absolute satisfaction with your landscape. Transform your landscaping dreams into a reality on time and on budget with Turf & Landscape Inc.